Many PC enthusiasts were stunned last December when AMD unveiled its new Ryzen line of processors. This is because for the first time in ages, AMD had come up with new processor models which could give Intel’s a run for their money when it came to performance (and price too). And Intel sure had reasons to be worried when AMD presented its high-end “Threadripper” CPUs in May, processors which will seemingly deliver unprecedented levels of performance when they hit shelves this summer. Intel has not taken long to respond to AMD’s threat though, and he recently unveiled the new Core i9 family of processors at the Computex show in Taiwan. These feature between 10 and 18 cores, and are priced between $999 and $1999 US dollars. Intel also revealed detailed specs for the i9-7900X model, which is clocked at 3.5 GHz but can reach 4.5 GHz in boost mode, and also supports the latest four channel DDR4 memory. All these processors are part of Intel’s new X-series, which is aimed at extreme enthusiasts and surely feature stunning specs for a consumer line of CPUs. In its presentation, Intel says these are fit for tasks like VR, gaming and content creation amongst others, and power users with the money to spare will surely be looking forward to upgrade their PCs with one of these for sure. Intel’s new X-series also boasts souped-up versions of its Core i5 and i7 processors too. 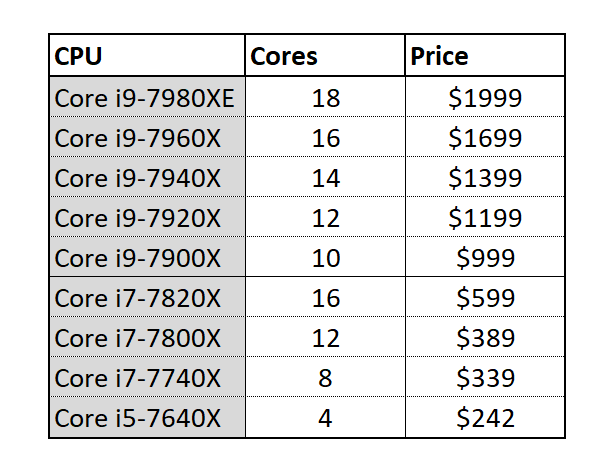 These have between 16 and 4 cores, and carry a more affordable price tag when compared to the higher-end Core i9s as seen in the table below. 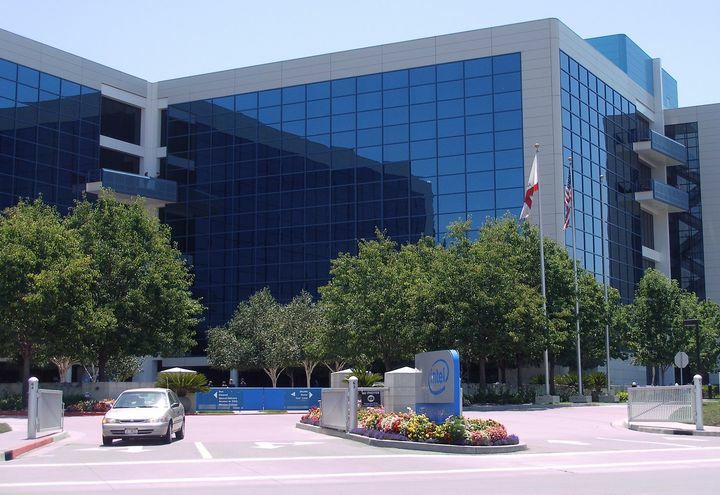 So it’s likely Intel might regain its performance edge over AMD with its new high-end processors, even if it’s clear none of these CPUs are aimed at those looking to build, upgrade or buy a new PC on the cheap. But hopefully we will be able to get a few bargains this year thanks to increased competition in the processor market, which may lead to a drop in prices all-round. And it’s clear this surely are interesting times in the PC market, so stay tuned for the latest developments involving PC hardware here.